US(In) Stock! Fast Shipping! Tempered Glass! Designed with both protection and looks in mind, SUPCASE Unicorn Beetle PRO Series Full-body Hybrid Case provides shock absorption and scratch prevention while maintaining a sporty profile. 1x SUPCASE Unicorn Beetle PRO Case for iPad Air 2. 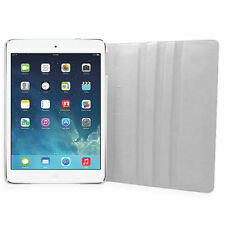 LifeProof FRE Waterproof Case Cover For iPad Air 1st Generation (WHITE/GRAY). We distribute iPod & iPhone accessories worldwide. Device Compatibility : iPad Air. The thinnest, lightest all-protective case available for iPad Air. Designed For Apple iPad Air Apple iPad Air 2. Smart Cover for iPad Air / iPad Air 2 RED. Manufacturer: Apple. Item Report. Features Power saving magnet, magnetic connection, transformable into a stand for typing or viewing video, microfiber lined, adjustable viewing angles, sleep/wake function. 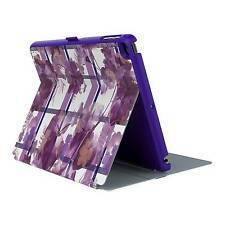 Genuine New Speck Apple iPAD Air 1 2 StyleFolio Case. StyleFolio is a sleek, stylish, and protective iPad Air case that’s designed to make an impact – and take one. Vivid colors and high-resolution patterns garnish StyleFolio’s easy-to-clean vegan leather cover, making your iPad Air look better than ever with a seamless, impeccable design. When you're running from the subway to the office with an iPad under your arm, you know that comes with risks, but placing the device inside a protective Apple iPad 1 case can help reduce the impact of any bumps or falls. eBay has a large inventory of new and pre-owned cases available at affordable prices, so iPad owners can find the right size case to preserve their device and be able to move around without worry. How do the holes on the cover support the device? 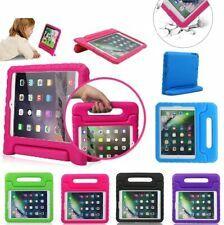 Strategically placed holes in the cover allow for the user to utilize functions on the device without removing the iPad from the case. Before making a final selection, look over the range of covers available on eBay to see which ones come with the correct corresponding holes that match your device model. Two functions accessible from the holes are the camera and volume. What is an iPad case with a stand? A stand case not only encloses the tablet to protect it from damage but also holds the iPad in an angled upright position. After installing the stand case, the screen of your iPad will mimic a mounted monitor's display. A fastening component to the case helps keep the iPad still. Depending on the type of case, it's possible to position the iPad at more than one angle. With a compatible Bluetooth keyboard, the iPad and stand case combo can be used in a way similar to a standard laptop. 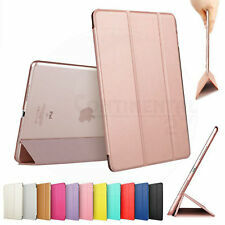 What materials are iPad 1 cases made from? 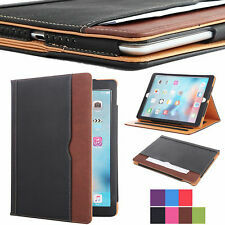 Leather: Due to its durability and professional appearance, leather remains a common material employed to craft Apple iPad 1 cases. Some cases are made with vegan leather. Plastic: Other cases are made using plastic, which provides a tough exterior that can shield your device from scratches. 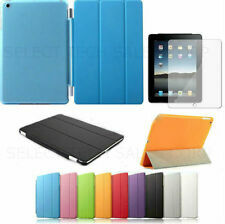 Rubber: Rubber cases provide a degree of shock absorption to help protect the iPad. What is the auto sleep/wake mode on the iPad cover? A smart cover comes with an automatic sleep/wake function designed to regulate power and usage. Placing an iPad in sleep mode conserves power. The device goes into a state of suspension while "sleeping." When you wish to use the device again, engage "waking" to wake the iPad and bring it out of suspension. These steps eliminate the need to completely power the iPad down and restart the iPad every time you take a break. 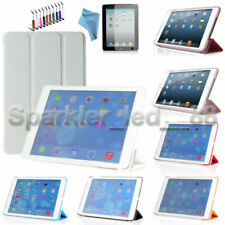 eBay offers a multitude of affordable iPad covers including ones with the auto sleep/wake feature.